It's about time someone made this thread! Anything Guitar related...Covers, tabs, Your favourite Guitars, Favourite Guitarists...anything can go here!! 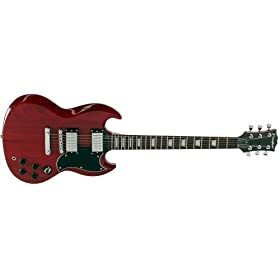 Post a Picture of your Guitar! Post a link to your favourite song at the moment, or one your trying to learn! And do you prefer gibson or Fender guitars? Haa is that the song you showed me in Graphics? Its taking over! stop listening to it!! Dude have you heard it? Yeah it was on your favourites wasn't it? Do you prefer Yui or Mio Guitars? Please tell me some one got that play on words....?